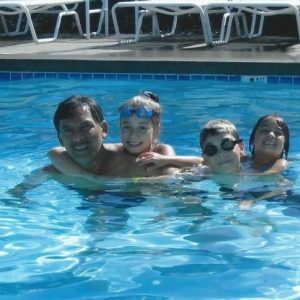 Tim, (known to old family friends as “Junior” and grandchildren as “Papa”) was a sweet, funny, gentle and quirky soul loved by many. He had a dry sense of humor, often confounding his family members with his wit. He died of sudden cardiac arrest at his home with his wife by his side. 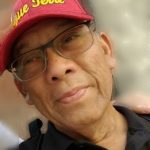 A life-long resident of Northwest Portland, Tim was born in the old St. Vincent’s Hospital near the family home on 24th Ave. His parents were founding members of the Filipino-American Association of Portland & Vicinity, where Tim was a member of the folk dance troupe. The family was members of the St. Mary’s Cathedral Parish, where Tim served as an altar boy. 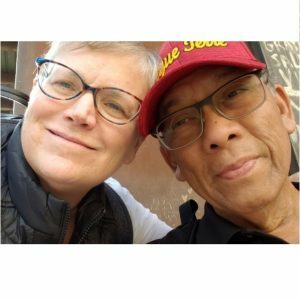 Whenever he walked around the neighborhood, Tim loved sharing stories of the childhood adventures he and his friends had –from digging to China in a friend’s basement, “parachuting” off another friend’s garage, and biking to Oaks Park with little sister Liz trailing along on her tricycle. Boy, did he get in trouble! Tim briefly attended Chapman Elementary School before transferring to St. Mary’s Cathedral School. 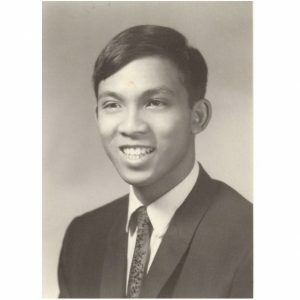 He graduated from Central Catholic High School (class of ’69) and four years later, Portland State University with dual degrees in Science and Medical Technology. He later earned a Specialist in Blood Banking (SBB) while employed by the American Red Cross (ARC), Pacific Northwest Region Blood Services. He retired in 2014 after 27 years as a medical technology scientist specializing in red cell reference work. Prior to the ARC, he worked for Washington Co. Heath Dept. and Fred Meyers. Upon Tim’s retirement, Librarian Susan, made him volunteer with the Multnomah County Library to get him out of the house. He loved going to “work” with Susan every Saturday morning to search for books and became part of the Northwest Library family. Tim was a visual guy and enjoyed TV (sit-coms, aliens, paranormal and sports) and movies. He particularly enjoyed action films, WWII movies, romantic comedies and Christmas movies. Many Sundays were spent with Susan and other friends at the movie theater. 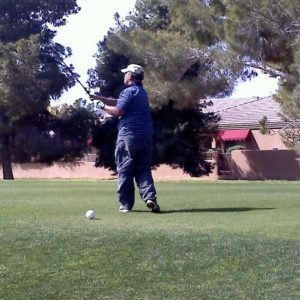 He was an avid, albeit fair-weather, golfer and played whenever conditions allowed. He also loved the Trailblazers and when his doctor told him not to watch games live ‘cause it made his blood pressure rise, he taped every game to watch later. 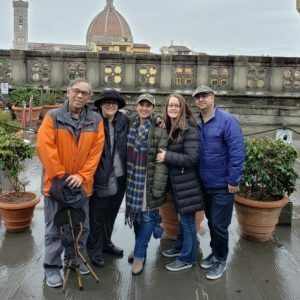 Although he dreaded plane trips, he and Susan made good use of their timeshares and took many wonderful trips. He especially loved vacations in Hawaii and had to get a new shirt every time. Last count — 36 Hawaiian shirts! Other trips included: NYC, Boston, Coronado Island, Catalina and the Bay area; Banff, Jasper, & Whistler, Canada; Yellowstone, Glacier and Zion National Parks; Arizona (Susan’s cabin, Scottsdale & Prescott); an Alaskan cruise/Yukon tour; Australia & New Zealand; the Oregon and Washington Coasts; and culminating in a wonderful month in Italy this fall. Tim is survived by his wife and children, grandchildren & great-grandchildren; his sister Elizabeth (Liz) Stevison (David), nieces and nephew; a nephew & niece from prior marriage; and many aunties, uncles and cousins in both the US and the Philippines.